Christina may only be 5'3 but she has a big heart and a lot of personality. Through blogging she loves to share her passion of beauty and fashion with ladies to help them be the best inside and out. Only blogging since September 2014, she has grown her audience through engaging online and having in person events. She enjoys being a girlfriend to her love muffin Trey, mom to her Yorkie Lucky and eating Kit-Kats on splurge days. In her downtime she loves to read, relax on her patio and look over the lake. She started blogging as a way to help girls and ladies feel confident in their skin. Being a victim of bullying in high school she knows how it feels to be called "ugly"! Christina strives to help girls and women build confidence by finding their inner beauty and style. 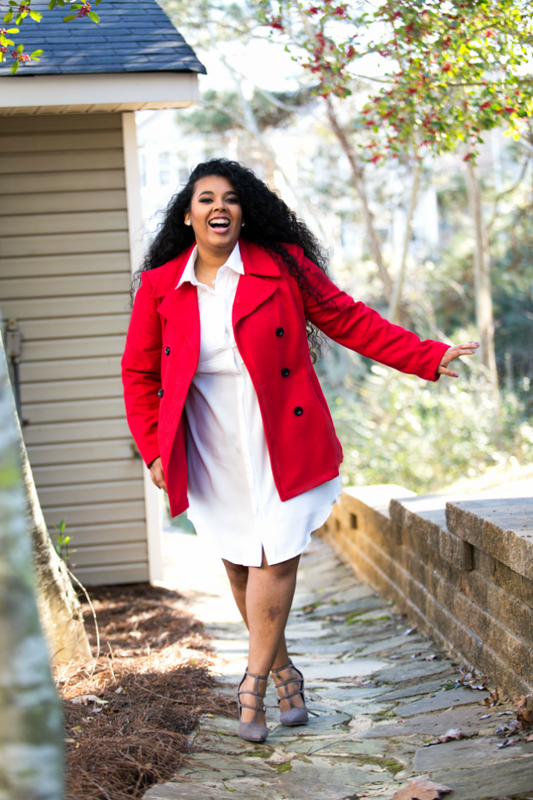 She has brought attention to the "inbetweenie" sizing (10-16) in fashion to help women understand how to dress their bodies and have amazing style. "Style is not just the clothes you wear but who you are inside and out". Her manifesto "Be Unique, Be You" inspires those who feel like their is no lane to fit in. She motivates them to create their own lane. I would love to hear your ideas and work with you! All reviews and opinions are 100% honest! Please send an email if you are interested in a media kit! So happy that you were able to overcome the bullies! You go girl!